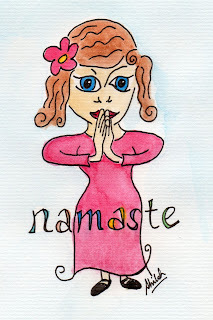 I have been fascinated by the Indian greeting 'Namaste'. 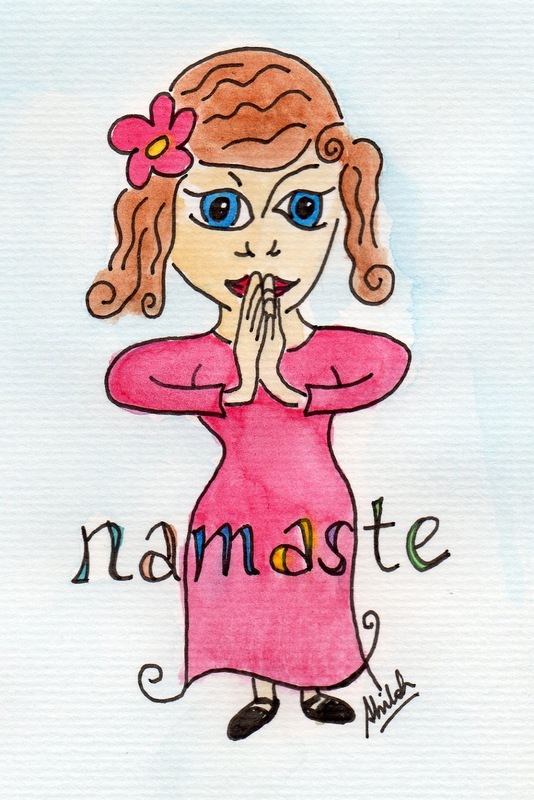 I love the meaning I once read of 'The divine in me acknowledges the divine in you' as a greeting on meeting or parting. I also love drawings and paintings of girls, so I was doodling and came up with this one. She greets you with respect, with love from her heart.